Cubby houses. When your kids are little, you toss the idea around and often the question is ‘will the kids get much use out of it’? The short answer is a big, fat, yes. Cubby houses aren’t just about playing house – it’s a space to develop imaginative play that morphs and evolves as children grow. With plenty of cute cottage and tudor style cubbies flooding the market, we’re loving the contemporary, clean lines of this bungalow! 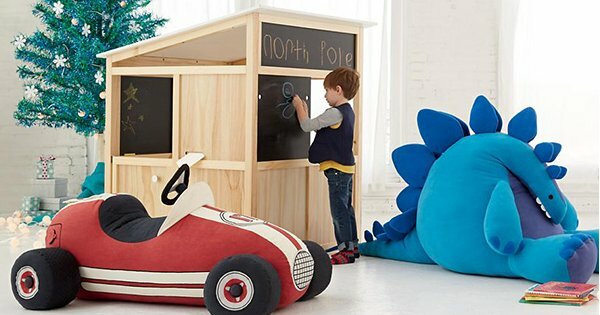 Hailing from the talented crew at The Land Of Nod, this limited edition Bungalow Play Home hits the nail on the contemporary cubby house head. 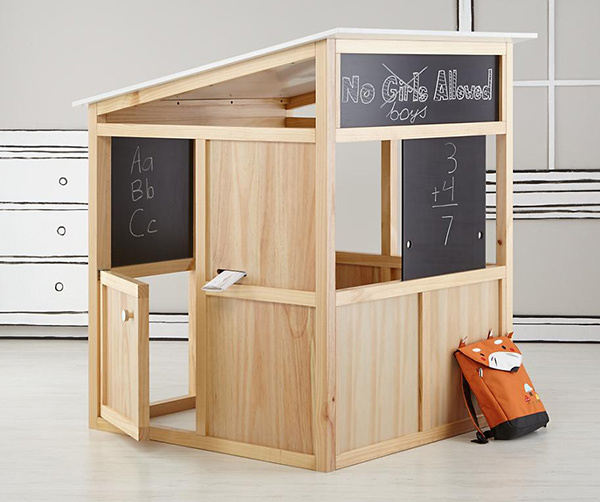 Made using a wooden frame with solid pine panels, this gem also has an inbuilt mail slot for traditional in-house snail mail, removable sliding windows and four double sided chalk board panels for children to send messages to the outside word. Though finished with a coat of varnish, the Bungalow Play Home is strictly for indoor use only. Now, a disclaimer of sorts – this gorgeous design specimen isn’t available to ship to Australia, unless you organise it yourself via a reshipper and some sort of fantastic freighting. But for our Babyologists residing in the United States, this one’s for you – a cubby house definitely worth considering! The limited edition Bungalow Play Home is currently priced US$400 on sale, so be quick not to miss out! Orders can be made direct from The Land Of Nod.